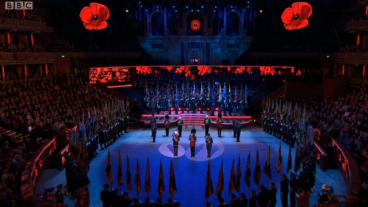 Huw Edwards presents the Royal British Legion’s annual Festival of Remembrance from the Royal Albert Hall in London. 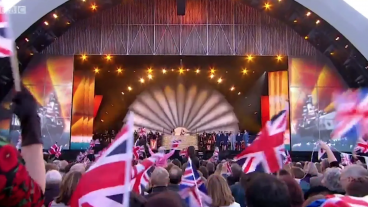 In the presence of Her Majesty the Queen and members of the royal family, Sir Tom Jones, Sheridan Smith, Sir Bryn Terfel, Tom Fletcher and Danny Jones and the Kingdom Choir perform alongside the Central Band of the Royal Air Force and the Band of HM Royal Marines. We were honoured to create performance visuals and various scenic states for this meaningful occasion.